Soldering the headers on. Looking back now I shouldve just soldered the Arduino directly to the board. 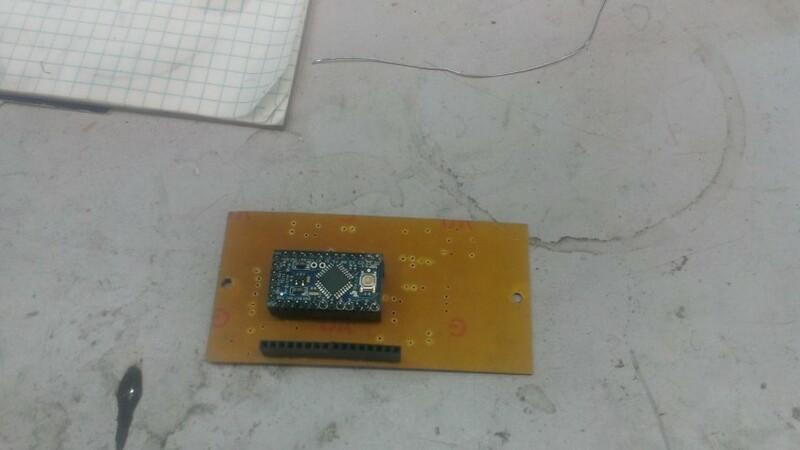 This is a Arduino Pro Mini 5v 16Mhz.